The following piece is being republished here with permission of the author, Mike Lux. Originally titled "Babies and Glenn Beck," it was published on The Huffington Post. Lux is the author of The Progressive Revolution: How the Best of America Came to Be. For Beck's programmed, reactionary followers, that is enough to render the facts of Beck's lies and deplorable comments about arsenic poisoning moot. 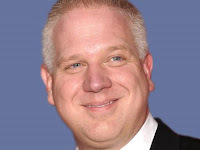 Reactionary ideologues, who believe Beck, have a very difficult time grasping the facts of Beck's lies. Luckily, most people are rational enough to read a piece like this one from Lux and understand that Beck and his morning zoo commentary sidekick lied and made deplorable fools of themselves discussing the TV ad discussed below. Political battles are made easier when at least some of your opponents are clueless, careless, and, well, frankly creepy. So this morning my thanks go out to Glenn Beck. Over the weekend, a nonprofit organization I chair called American Family Voices put out an ad about an attempt by House Republicans to cut the heart out of enforcement funding for the Clean Air Act. We carefully documented everything in the ad, citing scientific research from multiple sources. The facts are indisputable: In 2010, the Clean Air Act prevented 160,000 early deaths, and kept 230 babies alive by keeping deadly poisons like arsenic and mercury out of the air. Glenn Beck and his radio partner Pat Gray, who apparently don't believe in even the most basic fact checking, did one of the strangest six-minute riffs on this ad I have ever heard in my life. Starting with the rather obvious falsehood that the ad was paid for by the EPA (guys, the words "Paid for by American Family Voices" were on the screen in clear lettering for four seconds, and yes, we do have a website that any 18-year-old research intern could have checked out), they spent the next six minutes joking and laughing about the idea that kids might die of arsenic poisoning. In the creepiest section of all, they started naming the names of children (maybe their own, I was so horrified it was a little hard to track) who could die from arsenic poisoning. Now I know they were just joshing around, their point being that government could never do anything as good as saving children's lives from poisoning (despite the science that demonstrates that it does just that). But seriously, guys: six minutes laughing about the idea that babies might die? Of course, this is the same Glenn Beck that enthusiastically told an audience, to cheers and laughter, that in nature, "the lions eat the weak." This is the same Glenn Beck who clearly takes much of his philosophical underpinnings from Ayn Rand, who described compassion and charity as moral weaknesses which were leeches on society, and celebrated the "virtue of selfishness." But look, I'm not complaining. With appealing allies like Glenn Beck making their case, the oil and coal companies and the House Republicans trying to gut the Clean Air Act will be a lot easier to beat. I think I know what is wrong with all these people. It was the DDT they used back in the 50's and 60's. It destroyed everyone's minds. It wasn't arsenic. Yup. Glenn Beck's mom must have run after the mosquito spraying truck when she was a kid (we all did it), and it did her too much genetic damage. Then again, old Glenny probably did his brain in on his own with his own drug and alcohol use. I think that Beck treats his show like the morning zoo nonsense that he is used to. The other two stooges are along for the money ride.